There is plenty to keep you occupied at Hidden Valley Yurts (and we’ve made you a handy list here of activities which can be done on site) but should you wish to venture out, this is a beautiful part of the world to explore. We are within easy reach of Monmouth, Tintern, Raglan, Usk, Chepstow (all 5-10 miles away) and other notable spots along the picturesque Wye Valley. Below are just some of the local attractions you might be interested in. There is also an information area near the kitchen with plenty of leaflets and personal recommendations and if you have any questions just ask! One of our favourite traditional village pubs, just up the lane in Llanishen about a mile away (there is a footpath or at night take the lane). Serving good pub food, wine and cask ales. Nestled in the heart of the Wye Valley, set adjacent to the world famous Tintern Abbey, The Anchor Inn is the ideal destination for those exploring the area. This is a lovely pub with an incredible view and is very popular. Great food, drink and service, with a huge outdoor dining area. Featured in Best Pub Guide 2018. Parking alongside. A traditional inn in the ancient village of Trellech just 2 miles from us. Open fires and exposed wooden beams with both a traditional village bar and a restaurant area. The whole emphasis of the pub is towards the traditional – traditional beers, real ciders, quality homemade food and a friendly atmosphere. Plus this is a lovely village with a fascinating history and ancient standing stones. 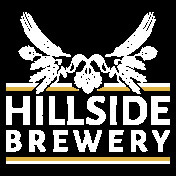 Hillside Brewery is an exciting, family owned and run brewery, built on traditional skills and values. We pride ourselves in producing high quality ales in small batches using traditional methods and the finest ingredients from around the world. Using methods which have been developed and mastered over a lifetime, we want to change people’s perception of beer and what can be achieved. We are dedicated to sustainable brewing and we want to share our passion for great beer with you. We have an on-site shop, we also run regular brewery tours and experience days. Drop in to say hello and have a beer with us. Large cafe attached to this farm shop which stocks a wide range of local produce ranging from berries to beers. 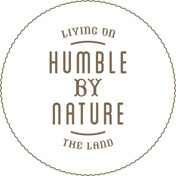 They source most of their produce within a 30 mile radius from the shop meaning that the food is as fresh as possible, and also supports local growers and traders. A traditional village pub with an excellent bar and restaurant. Serving fresh locally sourced food in the restaurant and bar, local real ales and ciders – all with a very warm welcome to families and children. An award-winning vineyard, overlooking Tintern and the beautiful River Wye. 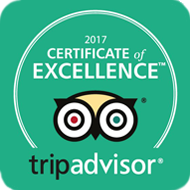 Guided tours available May-September, self-guided all year where you can learn about wine production in Wales and admire the beautiful views. Open all year round. The wines may be sampled in the farm shop which also sells local preserves, honey and garden plants and vines grown at the vineyard as well as a selection of gifts. Visitors may have tastings and there is also a picnic area and pleasant gardens. 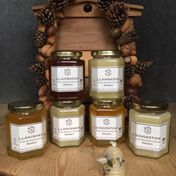 Artisan producers of premium quality, limited batch, Welsh raw local honey, husband and wife team, Andrew and Jacky, keep bees in a range of locations across the rolling landscape of beautiful Monmouthshire within a number of carefully selected and small elite apiary sites in which the bees are able to produce their own unique flavoured and delicious honey. All our honey is traditionally extracted to ensure it is 100% raw, pure and natural, unlike pasteurised and ultra-filtered found on a grocery store shelf. Uniquely unblended, every jar contains only the honey produced from the bee colonies sited at each specific apiary making it very exclusive for the discerning palate with a unique aroma and flavour, just like a single malt whiskey! We hope you take the opportunity to enjoy some! Award-winning Kingstone Brewery is a four barrel micro brewery based in Tintern. Their real ales are adapted from traditional recipes to suit modern palates. From hearty IPAs to quaffable bitters, they can offer beers for every occasion. Opposite Tintern Old Station. Outdoor Adventure Activity provider catering for all ages and experience. Activities include: gorge scrambling; open canoe river trips; rock climbing; high-level ropes course; guided mountain biking; stand up paddleboarding with full and half-day packages available. Qualified instructors use their professional experience to adjust activity days according to age and ability. See the area as you’ve never seen it before! 10% discount for all Hidden Valley Yurts guests, 15% off for groups! Canadian canoeing and kayaking on the River Wye is a great outdoor activity for all the family. You can paddle your canoe up to 100 miles from Glasbury, Hay-on-Wye, Bredwardine, Hereford, Hoarwithy, Ross-on-Wye, Kerne Bridge at Goodrich, Symonds Yat or Monmouth as far as Tintern. Half day or full day canoe trips are ideal for families. Transport from the Monmouth base to the starting point on the river is included. Situated in Llanishen only a short distance from Hidden Valley Yurts (about a mile!). The shooting ground is located on a working dairy farm in a designated area of outstanding natural beauty. Set among established trees and a natural stream the dedicated shooting area has been specially landscaped to create a flexible and adaptable environment suitable for all abilities. The National Diving & Activity Centre is based in Chepstow. They offer some of the best inland dive conditions in Europe and a range of outdoor activities including abseiling, 4×4 offroad driving experiences, a zip wire and overnight survival experiences. Cafe with views over the quarry. Grange Springs is set in the beautiful Wye Valley, an Area of Outstanding Natural Beauty, with the Royal Forest of Dean bordering one side and the gently rolling hills and valleys of south Wales on the other. Experience premier Coarse Fishing with top quality fish in a stunning location. Rowan Working Horses offers you the opportunity to try your hand working a heavy horse. The day could be tailored to suit anyone from the complete beginner and would give you an introduction to the care, harnessing and working of a heavy horse with plenty of opportunity for ‘hands-on’. We are based close to Monmouth in a peaceful location which has lovely views towards the Black Mountains. A light lunch and refreshments would be provided along with a day that would both be fun and rewarding. Foraging, bushcraft, survival skills, nature studies, eco therapy, mountain & hill walking and more all in the local area or even on site. Simon Birbeck is a local outdoor specialist with over 20 years experience. Packages available for families and groups. Spend a day with Wild Adventures to learn useful skills, explore the surroundings and/or have an adventure! 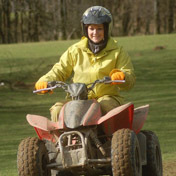 Specialising in quad biking for adults and children on a 340 acre working hill farm, they also offer clay pigeon shooting, archery, laser clay shooting and a real fun wet and muddy assault course! Packaged breaks can be arranged. Go APE and release your inner Tarzan! Find yourself swinging through the trees on high-wires, swings and wind-in-your-face zip wires while taking in the beautiful views of the Forest of Dean. NEW Tree Top Junior now open at Beechenhurst Lodge. Or try Forest Segways at Mallards Pike. Paintballing in the beautiful Herefordshire hills, looking over the Black Mountains. Three diverse zones including woods. Age 11 years upwards. Great activity for groups of friends, hen parties, stag parties and birthdays. With 100 guns in total they can accommodate any group size. Laser Clay Shooting on same site. Hire a bike and ride the easy-going family cycle trail in the Forest of Dean. For the more adventurous and older children you can hire a mountain bike and go cross-country! A brilliant fun day out and a great way to explore the Forest. Try your hand at archery, navigation or bushcraft with Borderlands Outdoor. With over 20 years’ combined experience in outdoor activities they love to share their passion for exploring the woods, hills, crags and rivers of the UK. Archery range is mobile so they can even bring the activity to Hidden Valley Yurts! A friendly professionally run Riding School, BHS Pony Club Centre and livery yard situated in Upper Redbrook near Monmouth in the beautiful Wye Valley. They have horses and ponies to suit all abilities from beginners to experienced riders and offer a range of activities and courses by qualified instructors. 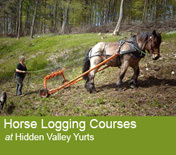 This is ideal for pony trekking, riding and trail riding in the Black Mountains for experienced riders and beginners. They offer a variety of outdoor activities such as canoe and kayak trips along the River Wye, Stand Up Paddleboarding (SUP), raft building, yoga and SUP yoga, Nordic walking, British Canoeing courses plus gorge walking and scrambling in the Brecon Beacons. 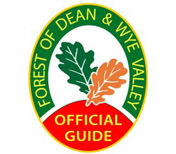 They also run guided tours of the Wye Valley. They cater for individual needs and offer a great day out in a variety of locations! This knowledgeable group of professional tour guides offer guided walks in the area, from about two hours to all day. They are happy to create bespoke tours for particular locations/subjects also and have guides that specialise in the folklore, history, architecture, and nature of the area. Your official tour guide will provide you with an informative yet entertaining experience that will leave you wanting to come back for more. Enjoy unique walking experiences from Strolls ‘n’ Stories. Join Jan as she takes you on a walk through picturesque countryside. Stop at historical sights where she shares stories of the area as though she were a character from its past. As the colourful characters tell their unique stories, the magic begins and we are transported through time…. Jan can also give storytelling on site, for a unique campfire experience! A small friendly and well established club – Gliding from Usk for over 25 years. Individual and group lessons by prior arrangement. A stunning course just 6 miles from Hidden Valley Yurts. Easily accessible, it features 18 holes of rolling parkland combining lakes and mature trees with arguably some of the best holes in the region. The course overlooks historic Raglan Castle and the Brecon Beacons. White Castle, along with Skenfrith and Grosmont, is one of three castles built to protect one of the main routes through the border region between England and South Wales. The Three Castles Walk is a circular route around Skenfrith Castle, White Castle and Grosmont Castle of about 19 miles (30km). Located in the Wye Valley, around 5 miles from Hidden Valley Yurts, Tintern Abbey was founded in the 12th century by Cistercian monks. Visitors can explore the stunning ruins. Tintern village has a few shops and cafes, hillside cottages and a small church close to the Abbey. The River Wye runs past the abbey and there is easy access to well marked walking and hiking trails. The Anchor pub and restaurant is one of the best in the area. Miniature railway (check website for running times) and cafe with woodland walks along the old disused railway line. Wooded children’s play area and The Circle of Legends – six life size sculptures depicting mystical or historical characters from Monmouthshire’s past. Circular walk from here through Brockworth and Tintern is a lovely way to see the area. A unique and enchanting place, made famous by numerous films and TV programmes. Explore a mile of meandering pathways, with its fantastic tree and rock formations, through this 14 acre ancient woodland. It has an atmosphere quite unlike any other wood you have visited. 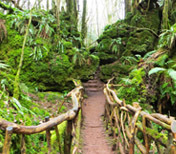 JRR Tolkien is reputed to have taken his inspiration for the fabled forests of Middle Earth from Puzzlewood, and it’s easy to see why. The amazing maze at Symonds Yat is a great place to play tag with all the family. Not up to running around? Play by stealth! There’s a viewing platform for calling directions… but who do you trust? There is also a butterfly zoo, miniature golf and laser ops on the same site! Experience the magic of trains from a bygone era and enjoy a ride on a steam train in the Forest of Dean. Don’t forget to have a chat with the driver, guard or any of our volunteers, for you can be sure of a cheery reply! Thomas the Tank Engine special days and other events often feature. A working farm: browse the fantastic selection of local produce in the farm shop; wander through the fields to find the brass rubbing trail and rope swing. Or, bring learning to life on one of their fantastic courses in animal husbandry and rural skills. Year round courses. Discover a world of steam trains, treehouses and treasure on the edge of the Forest of Dean. Armed with a key, clues and a day of fun ahead, explore the whole of Perrygrove to unlock your box of treasure! A trip on the steam train takes just over 20 minutes but most passengers get off to go to the picnic and play area at Foxy Hollow, or to go treasure hunting. There is no charge for extra rides – your ticket lasts all day and you can ride the steam train as many times as you like! There are four stations on our railway, each with paths leading to lovely walks through beautiful woodland. Our indoor village is fun for kids and just about big enough for most grown ups too! It’s home to five houses connected by secret passages – they’re the perfect place for a game of hide and seek! With a lovely cafe too this is a great all weather day time attraction for children and adults of all ages. The International Centre for Birds of Prey is a brilliant day out and is sure to leave you fascinated. They hold over 200 birds of prey here and put on 3 flying demonstrations every day – guaranteeing up-close action! There is a shop and cafe on site, as well as beautiful gardens and picnic spots. A charity, they ultimately work to conserve these amazing birds of prey all over the world. Open 7 days a week, Feb-Nov.
Rachel Shilston is an artist, designer and creative facilitator, who is based in her studio at Hanley Farm Business Centre at Tidenham, on the edge of the beautiful Forest of Dean. Rachel offers holidaymakers the opportunity for some relaxing ‘down time’ through a range of creative experiences. Whether you are a family, group of friends, a couple or solo visitor, Rachel is sure to inspire creativity in either her studio, in the comfort of your holiday accommodation or out in the beautiful local woodland. Our neighbours at Far Hill Flowers grow organic flowers and foliage for weddings, parties, events and for simple bouquets delivered locally. Set up by Justine in 2013 they now grow flowers from March to November and run courses and workshops when not working hard in the garden. Justine’s style of floristry takes much from nature and she has won RHS medals with her displays at the RHS Malvern show. If you would like to visit the flower farm for a tour and tea then contact Justine and book yourselves in for a treat. If there are a few of you why not book a workshop and learn how to make something flowery? You can buy some lovely flowers for your yurt and floral honey from their bees. Just a short walk up the valley. If you are looking to kill time, Usk is a very pretty small town 6 miles from Hidden Valley Yurts, which has a lovely privately owned castle which you can visit free (they do ask for a donation in the pot). Usk also has a couple of cafés, lots of pubs and a few shops. The Nelson Museum was founded in 1924, following the bequest to Monmouth by Lady Llangattock of her Nelson collection. The Local History centre includes information about Charles Rolls of Rolls-Royce fame and Henry V who was born there. Near Lydney in the Forest of Dean, Taurus Crafts is a visitor centre with a difference. Their main aim is to offer work experience, training and employment to people with special needs. The first thing you will see is a massive bull sculpture by Phil Bews and there is always an art exhibition on the walls of the cafe. Someone is likely to be making something in one of the artisan’s workshops. Free children’s play area (very young children). Krazy Golf centre with fantastic new games room also here. This is a wooded landmark hill with pleasure grounds, The Round House (National Trust – small entry fee), Naval Temple and stunning views over the surrounding countryside. Although owned by the National Trust visitors may walk around the Naval temple and play in the grounds and woodland. Live theatre and film entertainment in a beautiful old theatre which attracts a wide variety of comedy, theatre, dance and drama – with special shows for children during the school holidays. The Savoy has a licensed bar and you can even take your drinks in to the show or film! Live drama, music, dance as well as renowned speakers. They also screen live broadcasts from the National Theatre, Met Opera in New York, Royal Shakespeare Company and Royal Opera House all on the biggest screen in Monmouth. Every July/August. One of the largest free music festivals in the UK. A solid line-up of local and international talent keeps the crowd happy, almost making you forget you didn’t pay an entrance fee. Carnival day sees Monnow Street turned into a fun fair. And don’t miss the Kymin Dash. Held every September, don’t miss the internationally famous Abergavenny Food Festival. Only a 25 minute drive away from Hidden Valley Yurts. A beautiful county nestled between the Brecon Beacons National Park and the Wye Valley Area of Outstanding Natural Beauty. It’s not just the stunning landscape that’ll take your breath away. So will the majestic castles, dark starry skies, mountain climbs, fabulous food and 360° views. Discover a host of great activities and entertainment. For adventure-seekers, there is mountain biking, cycle tracks, zip-wires, kayaking, for explorers there’s a great range of attractions, from the magical Puzzlewood to caves and steam trains, and for something more relaxing, enjoy the Sculpture trail, the many walks, the spectacular views and the many castles, museums and cathedrals.